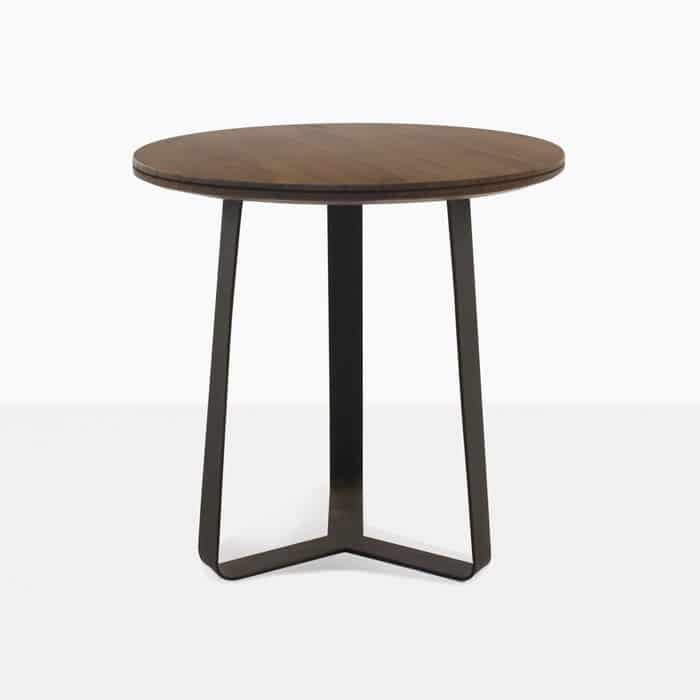 The Dallas Round Accent Table is a stunning piece with rich color and strong materials. 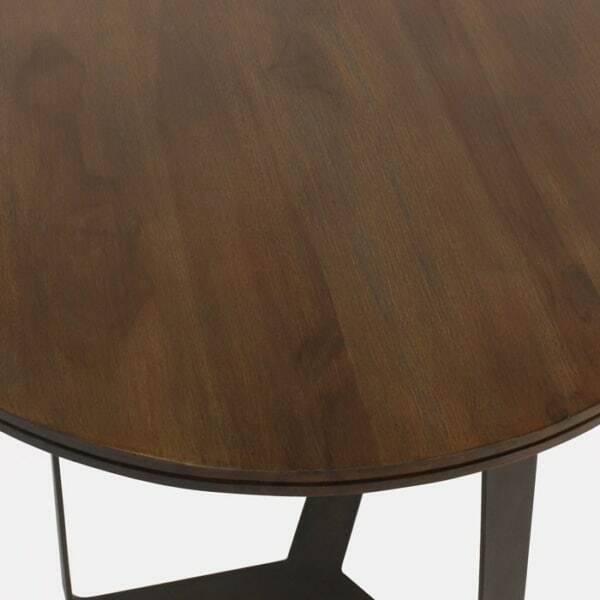 The modern and sleek base supports a round reclaimed teak tabletop. The reclaimed teak has a dark brown stain applied giving it this beautiful color. The base is made with powder coated steel and is a dark black, which balances nicely with the warm wood top. 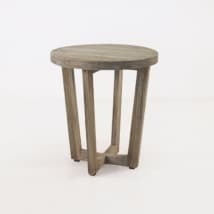 This table goes well with many other materials including concrete, reclaimed teak and wicker depending on the style of your living space. 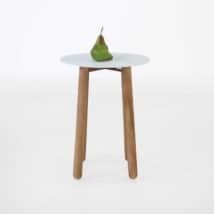 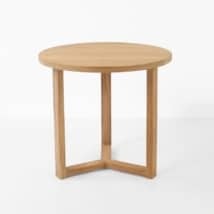 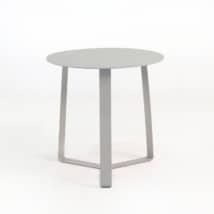 It has a small footprint, but is the perfect size for an accent table with ample size for placing decor, drinks or magazines. 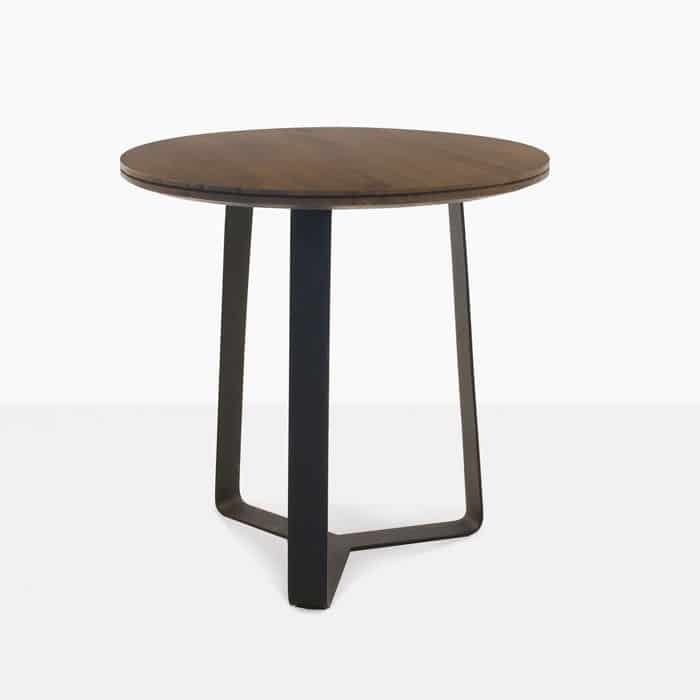 The Dallas round accent table arrives fully assembled and ready to enjoy.